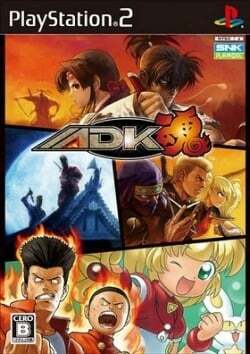 Game description: The compilation includes 5 arcade/Neo Geo games which were all developed by ADK and published by SNK Playmore. All 5 are 1:1 arcade ports with only one small enhancement in the form of skill lists/move lists for the characters of the fighting games; nothing else was changed. They are all 2D Games and every game is for 1-2 players. The games are not slower or have any glitches the originals didn't have. Ninja Master's: Haō Ninpō Chō was one of the rarest Neo Geo games. This page was last edited on 1 October 2016, at 19:05.